I’ve mentioned before that every week in Bath brings a different festival, this week is no exception as it has seen the start of the annual Great Bath Feast that in fact will run for the whole month of October. The Great Bath Feast is an annual event which offers foodie demonstrations, talks on food and drink, food related book events and all manner of other food related events. And lots of street food like this delicious offering I found in Southgate today. 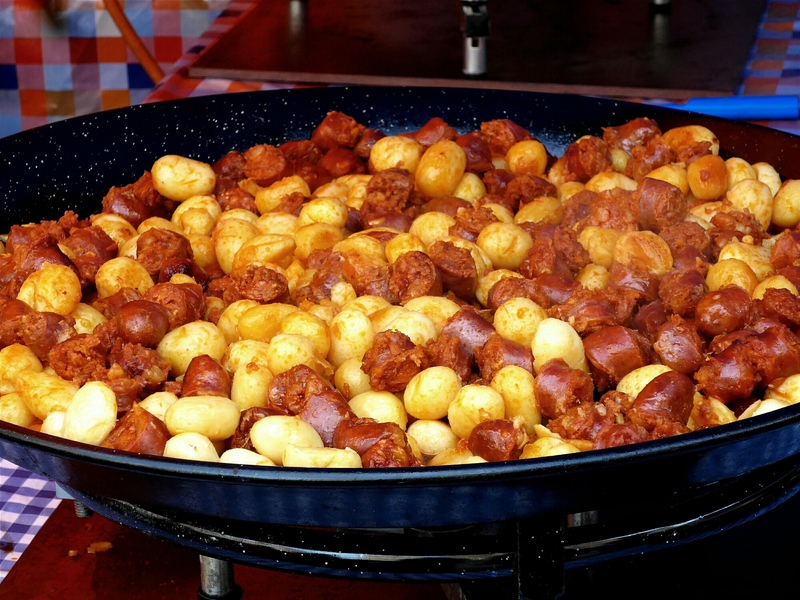 Sausage and spuds anyone?